to the north along the Aral Sea. Originally part of Russian Empire, Uzbekistan became included in the USSR in 1924. This lasted until the break-up of the Soviet Union in 1991 which resulted in Uzbekistan’s independence. With the fourth largest gold deposits in the world and an array of other natural resources, Uzbekistan has developed a strong economy, noted as being one of the fastest growing in the world. 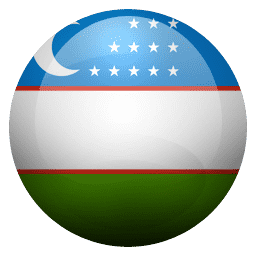 In this guide to online sports betting in Uzbekistan you can first find an overview of the sports betting industry in the country. After this the online market specifically is looked at along with any tax liabilities for sports bettors. Then the accessibility of the international online sites is covered before giving thoughts on the future of sports betting in the country. Even with a widespread ban on sports betting and other forms of gambling under Soviet rule, there was still a still some activities available such as the casinos and slots halls, although the legitimacy of the operations and owners was often subject to speculation. Since Uzbekistan’s independence in 1991 there has been a stark decline in gambling overall with a strong Islamic influence appearing in the country. A shock ban on billiards in 2002 , due to concerns of the moral well-being of their citizens goes to show how seriously the government has taken these sorts of issues. Throughout the 2000s Uzbekistan’s president, Islam Karimov passed several decrees to rid the country of gambling. These were mainly focused on closing the casinos and the slot machines halls located throughout the country which provided Uzbekistanis with their last outlet for wagering. Although illegal gambling does exist it is not widespread and large operations are generally closed down quickly. The penalty for running a “gambling den” is up to 5 years imprisonment and the confiscation of goods. As there is no legal land based sports betting it comes as no surprise to find out the online activity is illegal too. The only real option for bettors is to wager on foreign sportsbooks which still continue to provide games to Uzbekistan residents. Of course by choosing to wager on these sites you are opting to take that risk by yourself. Despite it being technically illegal to provide online markets to Uzbekistan, many companies continue to do and there are means to access those which do not. As a result there are many possible sites for you to choose from. Ensure you check the terms and conditions of these sites to ensure that Uzbekistan is not specifically excluded; some unscrupulous sites may allow you to deposit then freeze your account if you are from a restricted country. Generally most betting sites are run by legitimate companies who are argue they can provide markets to Uzbekistan as they are not covered by their jurisdiction. The best option is to choose popular sites which are respected by other sports bettors. Not only will this help to protect you against wrong-doing, it will also allow you to gain access to some of the best prices and bonuses online. As there are no legal forms of gambling in Uzbekistan, not only is there is no obligation to declare your winnings for tax purposes, it would most likely be unwise to do so! It will be unlikely you will find a betting site which offers an Uzbek translation or allows you to wager in UZS, so you will either have to find a language you are comfortable with or rely on your browser’s translation and have your balance in Euros or US Dollars. When you deposit in UZS often the sites will be able to exchange your funds into the currency you choose, although you may lose a little of your money’s value when doing this. Unfortunately the use online wallets for gambling transactions is restricted in Uzbekistan, as these can help you reduce currency conversions if you use lots of sites. WebMoney is an online payment solution that works in a similar way to an e-wallet, keeping a central wallet online which you can fund and then use that to deposit and withdraw from sites. Electronic currency users will also be pleased to hear you can fund your account with Bitcoin. If your bank or credit card company permits you credit and debit cards are normally reliable options to get money on and offline, and big names like Visa, MasterCard and Diners Club are widely accepted. Even if one bank refuses such transactions there is always the option to try another or use a foreign provider. Despite rumours and quiet talk of the relaxation of gambling laws, it appears unlikely anything will change in the near future. Therefore if you choose to place wagers on sports books your only realistic option would be to risk playing on one of the international sites that continue to serve customers in Uzbekistan.